Locked Out? ABA Locksmiths Bournemouth. You can rely on us. 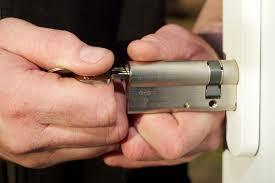 Your reliable Locksmith Bournemouth who can resolve any lock issue FAST. All the best keys and locks in stock. No Call out Fee. Click the yellow EASY DIAL button above to call now. The reliable Locksmith Bournemouth only too happy to help, call us for a quick no obligation quote. Fast and accurate ABA Locksmith Bournemouth response times. What do I do if I am locked out of my house? 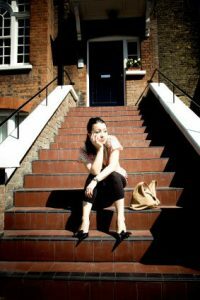 The unpleasant occasion of finding yourself without keys at your front door can be both stressful and difficult. Not to forget, cold. To avoid the risk of panic, or getting ill we advise you to ensure you’ve got the contact for a lockout service who is available through the night. You never know when these things will occurring after all. The things you need to do when locked out of your house differs and depends slightly on what your situation is. In some cases there may be a window left unlocked which you can get though, however that may be highly unlikely. After all, you never leave windows unlocked when unattended. If you are renting, the first point of contact would be your landlord if you are locked out of your house. So keep his or her number saved as well. If your building is part of a complex there may be a caretaker or building manager contact which would also be worth saving in case you get yourself locked out of your house. If all else fails, you should use that 24 hour lockout service number that you’ve saved. Help will be on the way fast, and if you’re locked out of your house you’ll soon find yourself safe and sound inside. For questions about locks, security and lockouts don’t hesitate to call the number above now. Or safe it knowing our quick service is available all hours. Preventing being locked out in the first place is not possible to 100%, however. There are a couple of actions which we suggest you take to safeguard yourself from difficult lockouts. Leave a key with a trusted neighbour. Keep your keys in the same place all the time. Both when in your house and when on your person. The right hand pocket or the key clip in your bag for instance. Find more tips on how to create good security habits here. The key is broken inside the lock what can I do? The horrid instance of snapping a key inside of the lock can be both a heart race and panic. The only way to work against it and prevent it from happening is simply to ensure that you have high quality lock and keys installed. However, these things do occur and the main thing is to not panic or poke at it if it’s clear there is no easy way to remove it. What you can do when the key is broken inside the lock is to call a professional and hang tight. Our line is open all hours and there should this catastrophe happen to you, no matter who unsociable the hour may be. In type of situation often our creative bone starts to tingle and we start looking for a solution. If the snapped of key is protruding from the keyhole and there is enough of it for your to grab it with some pliers it might work. But, if you do engage with this, please do so with care, as to not upset and bend the shapes of the metal more. If unsuccessful in the first try or two. It’s best to leave it completely alone until the arrival of a professional. The risk of damage to the lock increases with any hard handed attempts. Save the number above to have a local professional in reach at any time. This way, when the key is broken inside the lock, you can simply pick up the phone and have specialists with specialist tools designed for the job. Don’t risk damage to the lock which would potentially mean the need for a lock change by force. Here at locksmith Bournemouth we offer quick response relief to any lock out or locksmith needing emergency or non emergency situation in the Bournemouth and surrounding areas. Call us today and you could get a locksmith out to you right now or at a time to suit you. That’s because locksmith Bournemouth is open and active 24/7 with 27/7 advisors on the phone so no matter the time or place it’s always easy to get the locksmith services you require when you require them. Locksmith Bournemouth doesn’t employ lazy locksmiths we like our locksmiths hard working and prepared for anything we throw at them, and we also don’t employ sales people on our phones. We don’t want you to think we’re lazy and we don’t want you to think you’ll call us and we’ll try and sell you a load or services and products that you just don’t need. We’d rather be up for anything and informative when you call up that’s why we employ trained advisors instead of salespeople. Locksmith Bournemouth has over 20 years experience and all the tools and skills to get you through any emergency or non emergency locksmith issue. What’s more is that we don’t charge a call out fee and we don’t charge VAT so if you need a locksmith in the Bournemouth or surrounding areas, either at work or at the home you know you can call us and we’ll see you through. Our prices are competitive and we can be with you right away or at a time to suit you. Needing a locksmith has never been easier. Call today! Locksmith Bournemouth deal with a high volume of calls every day and sometimes we can be surprised at what we find when we get out to a job. While it’s most likely no ones fault that we’ve been caught off guard by slight discrepancies locksmith Bournemouth still has to adapt and deal with what we’ve been confronted with. Locksmith Bournemouth won’t just call it a day because the lock wasn’t the one we were expecting to find, we’ll still be able to get you in if that’s what you need and replace the lock if that’s what’s required after we get you in. It’s really never been more simple to get a locksmith out to replace your locks, just call locksmith Bournemouth up now and we can come out to sort any locksmith issue you may have. One of the most common changes we have to deal with on a job are those of euro cylinder variations. 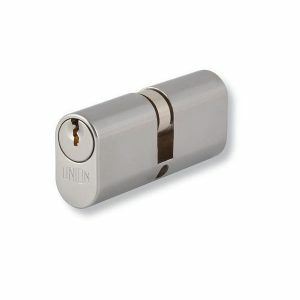 Most euro cylinders are sort of ice cream cone shaped and are cheap in comparison to there locks. When dealing with other shapes however the cost can vary, the most common uncommon shape of euro cylinder is the oval shaped euro cylinder and while there’s no added safety features these do cost a little bit more. The only difference between these and normal locks are aesthetic, however you’d be wrong in thinking that we can install these for the sake of making more money, all euro cylinders need to be shaped like for like when being replaced. Locksmith Bournemouth has over 20 years experience and all the skills and all the tools to back it up, locksmith Bournemouth is your local trustworthy locksmith for all lock and door related issues, locksmith Bournemouth thrives in emergency situation, as this is the thing we do best. Locksmith Bournemouth has a streamlined easy to use and quick system for anyone in Bournemouth to get professional locksmith services. Locksmith Bournemouth for lock outs because when you’re locked out we don’t hang about, our response times are quick and our system is aimed on causing no more tension in what could be an already stressful situation. Call today and speak to one of our trained office advisors about any of our services that we offer, we won’t put you on hold or pass you around the office waiting to speak to the right person, we don’t use automated messages either. You’ll be put straight through to one of our trained advisors who you can ask anything. Here at locksmith Bournemouth we deal with loads of different types of locks and with over 20 years experience we’ve seen a few locks over our time. So this makes us very confident with most types of locks, one of the more unusual types of locks that we can supply, fit, repair, replace, and even install are mechanical code locks. Mechanical code locks are locks with a series of buttons on containing numbers and a few letters and a cancel button. In order to use the handle on the door to open the door you must first enter the right code, if you enter more numbers or letters than you’re supposed to the door won’t open either so if you make a mistake you can press the cancel button, this will reset the lock and you’ll have to start your combination again. Mechanical code locks are preferred to normal locks in offices with high numbers of staff, this is because if all of your staff members need a key to a certain lock it can be costly to supply everyone with these keys, and if one of the keys get lost you’ll have to replace your locks and supply the new keys all over again, costly. Whilst a good mechanical code lock isn’t cheap it can certainly be a lot cheaper than supplying 20+ keys and hoping they don’t get lost. Call locksmith Bournemouth today and we can fix your mechanical code lock in a jiffy, and if we can’t we can supply and replace your old one with a new one. Locksmith Bournemouth don’t charge for call outs and we don’t charge you VAT, locksmith Bournemouth for any mechanical code locks, replacements, adjustments, or installations, whether you’re adding extra security or you’re going key less choose locksmith Bournemouth today! Here at locksmith Bournemouth we’ve noticed that people around us are really enjoying this heatwave we’ve been having recently, we’ve noticed that everyone seems to be out and about making the most of the weather and to an extent outside of work we’ve been enjoying the hot weather too. However in working hours it’s been making the work a lot harder. So does that mean we’re going to shut up shop and wait for this heatwave to pass? Not at all, whilst no one enjoys working in the blazing hot sun, we offer a service that depends on us being around 24/7 365 days a year! So have you been charging more, or are you planning on charging more because of the heat? Absolutely not, we mean it when we say it’s business as usual, we mean from the response times down to the price down to who you speak to when you call us up, it’s business as usual! Locksmith Bournemouth is where it’s at from being known as the most simple to use and streamlined way of getting a locksmith Bournemouth out to your house, we know it’s a stressful time when you need work on your locks, especially in a lock out situation! That;s why it’s our goal to not add any extra tension to your day from the minute you call in to the minute we turn up to complete the work, you should feel calmed and happy that your nightmare is about to be over. Here at locksmith Bournemouth we know the only thing you wan to do when you get locked out is to find a way back in, this can be a stressful process if you don’t know what you’re doing and i can be an even more stressful process finding someone who’s available local to you, and can get to you fast and knows how to get you in and replace your locks if it’s required, and do all this without it costing you an arm and a leg! well locksmith Bournemouth think we have a solution to your worries. We’re fast to respond to in emergency and our locksmith Bournemouth office staff make it so easy to get someone out to you that we could have someone on their way to you in a matter of seconds after we give you an over the phone no obligation quote! 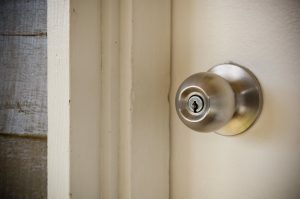 If you’re happy with the quote given we’ll send someone round to you right away, here at locksmith Bournemouth we know that it’s never convenient to get locked out, especially if you have places to be and things to do, but that doesn’t mean that getting someone to let you back in has to be equally as stressful. Call today and we’ll see you right! 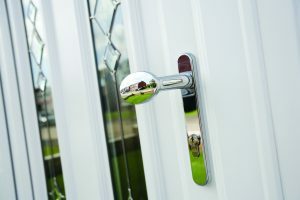 You may or may not have heard about a technique used by burglars used to gain access through UPVC doors and other doors with euro locks, “lock snapping” as it’s known by thieves and police alike is the most common break in method used on UPVC doors in the UK. And the scariest part about it is the fact that the person attempting the break in doesn’t need a single piece of specialist equipment or knowledge with most of these break ins being performed with a pair of pliers and a screwdriver. 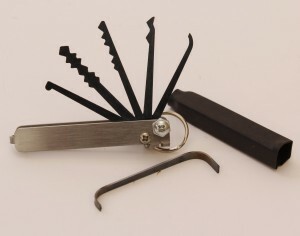 Firstly the burglar will take the pliers and use them to pull the lock cylinder away from the sleeve enough to allow them to violently snap the lock, which due to a manufacturers fault leaves the mechanism bare and the last thing to do at this stage is to manipulate your mechanism with the screw driver and open your door! Anti snap locks remove this risk and allow you to sleep sound at night knowing that you won’t be getting your locks snapped. The way they remove the risk is by taking the vulnerable part of the lock away from the mechanism meaning when someone attempts to break the lock they won’t be able to get near your mechanism or the inside of your house for that matter. Call us today and see if we can come and fit you with some anti snap locks or you can call and ask us about any of the other great competitively priced services that we offer. Our phone lines are open 24/7 and we’ll always be able to take your call. Don’t delay, call today! 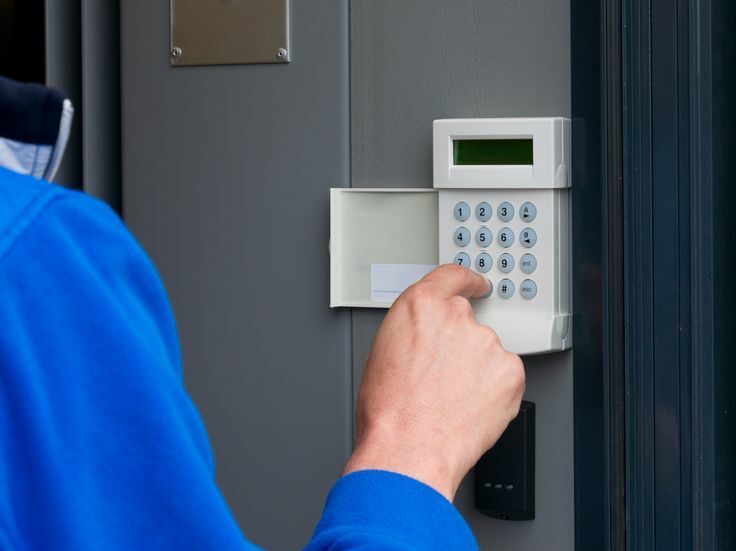 Here at locksmith Bournemouth we think it’s all too important to have a burglar alarm in operation if you’re genuinely serious about your homes security. We’ve over 20 years experience and it always shocks us how many people have burglar alarms but never use them. In a recent study conducted by Which? they found that just 7% of people with a burglar alarm had ever been bugled and a further one in 10 of those 7% were targeted more than once. The study also asked ex burglars the one thing that used to scare them the most and 70% of them that were asked said a burglar alarm. So if you haven’t already got a burglar alarm, which type of system would be best for your home? Well out of the two main types of systems used in the UK, which are called stand alone systems and monitored systems and their are a few slight differences between the two. Firstly a stand alone system only uses noise and when sounded will alert any neighbors or passers by and then it’s up to them to call the police. These systems are good for people who live with close neighbors as they are much much cheaper than a monitored system. A monitored system is slightly different as you pay a contract with a security firm who then monitor activity on your alarm system and then call the police as soon as your alarm is triggered. These alarms are better for people with fewer neighbors and people who are at high risk of getting burgled. Here at locksmith Bournemouth we try to focus on two main principles base on what we think our customers need and want based on the situation they’re in when they call us out. So for our locksmiths the most common time people call us is when they’re locked out, and what does a customer want when they are locked out? Locksmith Bournemouth think the customers that call us and are locked out want only a few things, that’s to get back into their home or business, and get back in their fast, especially if the weathers not the best. On top of getting back in as fast as possible the customers want to be able to trust that when we get to your house or work that we know how to get you back in without breaking your door or not being able to replace your lock if it’s required after gaining entry. That’s why locksmith Bournemouth is dedicated to offering fast response times as well as trustworthy locksmiths who will always know how to get you back into your home or work no matter what type of lock you’ve got. Locksmith Bournemouth are here waiting for if and when you need us. With over 20 years experience locksmith Bournemouth is your one stop shop for all lock changes lock outs and even new lock installations, call locksmith Bournemouth today and see what we can do for you right now. Here at locksmith Bournemouth we deal with a lot of requests for all different types of service that we provide so our locksmiths have got to be on the ball in the morning ready for anything they might face during the day. Locksmith Bournemouth offer a bunch of great services from our emergency lock out service to our door alignment service we really have got all the tools and experience to get your lock or door fixed. While it’s one of our lesser requested services we feel like new lock installations are our most complex and tricky services. 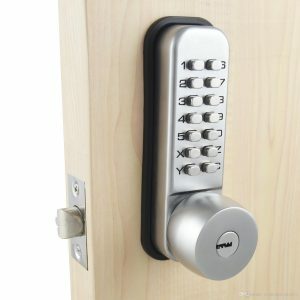 The reason a lock replacement is different to a new lock installation? Well that’s because the locksmith just has to side out the old lock and fit the new one in a lock replacement. Whereas with new lock installations our locksmith Bournemouth team have to make the hole for the lock to be placed into on a plain door that previously had no door on it. This requires joinery and carpentry skills as well as the locksmith skills to make sure the lock is in the correct position and is working in accordance with the other parts of the lock. Call now and talk to one of our trained advisors today and ask them about our competitive prices for our new lock installations. With the hassle and stress of everyday life, it’s not surprising that many residents here in Bournemouth are not sure of the extent of their security situation. They don’t know how well, or not well, protected they are and what improvements they could make. Upgrading your security can be done in a minimal fashion by using cost-effective upgrades, or via more expensive, high-tech solutions. Whatever the option may be, it’s important to know those that are available for your property. Your locksmith Bournemouth believes it’s always important to be aware of your security situation, especially at home. Keeping safety in mind for both yourself and your loved ones doesn’t take much effort, but it does require an appreciation of the solutions available and the risks that exist. By contacting your locksmith Bournemouth, you can discuss such issues with a trained professional. With years of experience working in both the industry and the local area, our expert lock technicians can provide you with both the practical knowledge and security tips to ensure your home has adequate security which doesn’t have to cost an arm and a leg. Aside from this, your highly-qualified locksmith Bournemouth can carry out an in-depth security survey upon request. This can be done at any point in time, but it is particularly recommended if you have recently moved into a new property. Whilst security is something you may have considered when purchasing the property, only the eyes of a trained security expert will expose any potential weaknesses. This is important as it helps provide you with a better understanding of your security and just how well it may hold up against potential intruders and whether it makes your property more or less likely to be targeted. Our surveys always provide a range of options meaning you can create a security solution perfectly tailored to you. Our locksmith Bournemouth team work around the clock to provide you the service you deserve. Call one of our friendly team when you want to discuss such matters further. 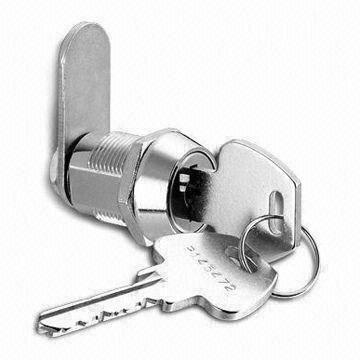 BS3621 – This relates to mortise and lip cylinder locks that require keys to lock from both sides, this standard states that the lock is good from break in unless the assailant has a key for the lock. 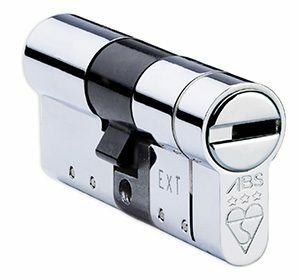 BS10621 – This covers locks that can only be locked from the outside, can be open from the insides unless feature is removed by owner. 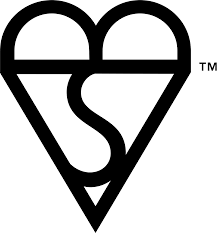 All of our locks used are up to British standards, and you can phone up and ask us anything, anytime in relation to what locks we use and how much we charge when we do. All you’ve got to do is call our 24/7 phone line where you’ll be able to speak to one of our friendly advisors who’ll guide you through the call in no time. Here at locksmith Bournemouth we’re all about convenience and peace of mind, that’s why we stay open 24/7 and only send out experienced professional locksmiths to jobs. We’re operational all year round including weekends and bank holidays and what’s more is that we never charge call out fees and we never charge VAT. This is so our prices are as competitive as they can possibly be for a service as good as ours. Whether you need someone right away or at a time to suit you, locksmith Bournemouth will always be here to help if and when you need us. Whether you’re locked out after a night out or whether you work unsociable hours and need a job doing at a specific time. Locksmith Bournemouth are the trusty local locksmiths you can depend on for any sort of locksmith work. We cover the whole of Bournemouth every day 24/7 365 days a year even weekends and bank holidays. Call now and speak to one of our trained office advisors today. We’re super fast to get out to you in all emergency or non emergency locksmith situations. And what’s more is we don’t charge a call out charge and we don’t charge VAT. Call now and speak to one of the professionals today. Don’t just call any locksmith, call your local locksmith Bournemouth. Call today! Here at Locksmith Bournemouth, we take home security very seriously and we think you should too, we also think you should do it before it’s too late not like the majority of people we provide services to. Home security hasn’t got to cost a bomb and you could take a few steps to help secure your home on a very tight budget and massive effect. For example, most people don’t know where home security starts. We think it starts as your garden, imagine your garden as a bridge from the outside world into your home, do you want to make that bridge a pleasant walk for people who aren’t supposed to be there? Or would you rather someone who wasn’t supposed to be there being able to gather that they aren’t supposed to be there very quick? We prefer the sound of the second one, and Locksmith Bournemouth think you can achieve this with an outside light with a motion sensor, these can be picked up reasonably cheap at your local hardware store and can also be set up rather easily, try placing the light in a hard to see area but in the path a burglar would have to take when attempting to break in. Secondly we recommend checking your front and back doors, things like the material of the door and the type of lock on the door, with this information we think the cheapest way to improve your home security would be to do some research into the most common types of break ins regarding the material of door you have and what type of lock you have on that door. This will then make it easy to guard against the type of break ins most associated with your locks rather than all break ins. For example if you had a UPVC door, you’d find that the most common type of break in is lock snapping, and then you might want to check if your door has an ant snap lock installed, and if not install one! Your commercial locksmith Bournemouth has worked hard over the years serving a variety of different commercial premises. This type of security work can be incredibly specialised as commercial premises range from warehouses and shops, to high-rise office blocks and individual offices. While your locksmith Bournemouth doesn’t discriminate in who it assists, we find something particularly pleasing about being able to serve small and medium sized local businesses. Without providing you with a basic economics lesson, the fact that the money is more likely to be reinvested into the local economy and local community means the benefits of helping local businesses grow is outstanding. Although the same applies for all businesses, new and emerging local businesses need to take particular care when investing in the security for their new premises. Unlike large corporations supported by large insurers, the protection afforded to local businesses isn’t likely to be as great if something goes wrong. That’s why it’s important to ensure you have the details of a dedicated locksmith Bournemouth. Only our excellent service men and women are able to provide quick and effective services at a reasonable cost. Of course, your locksmith Bournemouth will always be there to assist you in times of emergency, be it you being locked in or out of your property. This can have a detrimental effect on your business, either by leaving it vulnerable or affecting your day’s takings. However, we’re also proud to offer special routine services to new, emerging businesses. 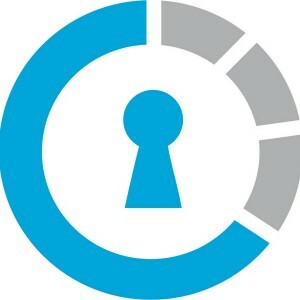 We know your security should be the most important focus before you can shift focus to making your business a success. We offer a complete, free security inspection so that we can recommend the appropriate security for your property. We are also happy to advise on extras such as alarm and CCTV installations, not to mention ways of protecting goods in your property, such as security safes and lockers for your employee’s belongings. For those who always go above and beyond for small businesses, call your locksmith Bournemouth. 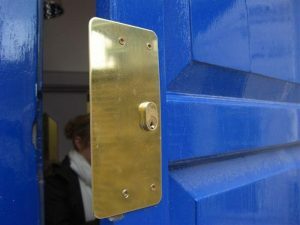 Here at locksmith Bournemouth, we deal with lot’s and lot’s of different types of locks, keys, and materials of doors. In a lock out situation emotions are high and sometimes it can be hard to get a picture of what door or which type of lock we’re dealing with before we get to the lockout. That’s why locksmith Bournemouth carries all different types of lock and other door parts in our vans, so that you don’t have to worry about whether we have the right lock to replace your existing lock. Locksmith Bournemouth only uses the finest anti snap, anti pick and anti drill euro cylinders when we replace the barrels on any Upvc door and locksmith Bournemouth also stress that even if you don’t choose to go with us that you still make sure that the people you get to replace your euro cylinders are using anti snap locks at least, this is because the most common type of break in through Upvc doors and euro cylinders is that of a technique called lock snapping, with anti snap locks that’s none of your concern. Locksmith Bournemouth don’t just replace cylinders though! locksmith Bournemouth also replace upvc multi point locking mechanisms too, we carry most mechanisms for most upvc doors but if we haven’t got yours with us we can go and get one or if it requires order one in and then come and fit it the same day it arrives. When people think of their locksmith Bournemouth, they may think of any member of the friendly security team that regularly assists people in the local area and surrounding neighbourhoods with fresh installations, lock maintenance and emergency lockout services. However, your locksmith Bournemouth is a full security professional. This means our products and services offered extend far beyond simple locking mechanisms. With security the aim of the game, we are always on hand to provide helpful advice for any concerned citizen looking at ways to upgrade their home security. One of the most cost effective ways this can be done is be investing in effective deterrents to ward off any possible outside intruders. Of course, there’s a variety of different approaches you may take and what may be right for you may well depend on your own personal preference as well as what your is suitable. Of course, nothing truly beats the deadlock, but your locksmith Bournemouth will assume, if you have anything other than a UPVC door, that this will be installed as a given. 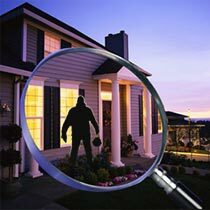 By way of deterrence, burglars are invariably put off by anything that would draw attention to their presence, be that light or noise. 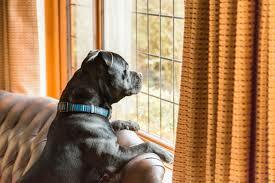 Many people have debated the helpfulness of a dog and of course your locksmith Bournemouth would never recommend purchasing one simply for security! However, our pups are great to altering us and others that people are at your property either by barking or going mad with excitement. If you don’t have a dog, it’s worth considering sensor activated barking dog alarms. These are perfect for if you’re going away from your property for a while too! However, the favourite recommendation of your locksmith Bournemouth is that of security lights at the front of your property. Ensuring your property is well lit means your neighbours and yourself can easily spot anyone who shouldn’t be there. For the discussion on the effectiveness of various deterrents, your local locksmith Bournemouth can discuss such matters on the phone or arrange a site visit to recommend an appropriate course of action. Your locksmith Bournemouth is often surprised at the security industry. Despite being a key feature of homes and businesses alike, it seems to be the case that not many people are particularly well informed about their security. Of course, you wouldn’t be expected to be an expert, otherwise locksmiths wouldn’t exist! However, having a basic understanding of the security at your property allows you to better protect your home and also, should anything go wrong, allow you to provide an accurate description to a highly-trained locksmith Bournemouth who can provide you with an accurate quote for the works before assisting you. 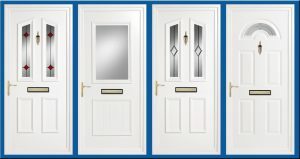 As a basic overview, it is important to firstly know what type of door you have as this will determine the possible locking mechanisms you may have. If you have a wooden door, you door is likely to have one or a combination of a nightlatch lock – commonly referred to as a Yale lock – and a mortise lock, which is the one with a traditional keyhole shape. If you have a UPVC door, the lock is a eurocylinder and the internal locking mechanism is simply referred to as a multipoint locking mechanism. Once you have understood this you can begin to diagnose any problems with your security quickly and efficiently. 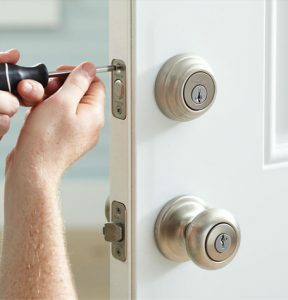 This will not only help you personally protect your property, but when you need the professional help of an expert locksmith Bournemouth, you can receive an accurate quote meaning no surprises! For example, if you find that on your UPVC door your key can only enter part way or can enter completely but cannot turn, then it is likely there is a problem with the eurocylinder lock itself and this needs to be replaced. If you find that the key can enter but is spinning in the barrel, then this is more symptomatic of a problem with your internal multipoint locking mechanism. Your locksmith Bournemouth doesn’t expect you to be a trained locksmith, but being able to understand your own security makes your life easier. Here at locksmith Bournemouth we’re always trying to be innovative in the way we operate as a team, and that’s exactly how we operate, as a team. Locksmith Bournemouth recognize that if everyone knows what’s going on in an office your business will run a lot more smoothly than if people were being left in the dark and no one was able to tell you what went on in the office. Teams help each other out and sometimes you might be surprised how team members performing at the same high standards across different roles can help things like morale and productivity. The answer? No, we’re locksmiths not door people, while we offer realignment services on some types of door it would be an extremely expensive way of getting people back into their homes, locksmith Bournemouth will try to get you back into your house without breaking your locks, bust sometimes that isn’t possible and we have to drill through the locks and replace them, but we carry most types of locks and cylinders and our prices are competitive so you shouldn’t be too shocked when we hand you the bill. Call today! One of the best days in most people’s lives is when they are able to make the successful leap from tenant to homeowner. It’s even better when you consider that you have been able to do such a remarkable step in your life in such a wonderful town. However, with great power (of home ownership) comes great responsibility. No longer can you rely on your landlord, the buck stops with you. So what should you do when you move home for the first time? One thing you should do every time you move home is change the locks. Any respected locksmith Bournemouth will recommend this as a good course of practice. Such advice is not meant to scare you, but the reality remains that you cannot be sure of who still may have access to the property. Who knows just how long ago the locks were last changed? For new homeowners, your locksmith Bournemouth offers a helpful discount to get you on the way, no matter how many locks you require changing. The next most important step is to conduct a detailed security inspection of your new home. You may have already done this when considering to buy the property, but now is when things get serious. The best way to do this is to simply think like a burglar. Look at the outside of your property and think what would make it easy for you to get in. If there are things that you can use to climb, make sure they are securely locked away. If there’s a fence near your property, try to ensure it has a pretty bush climbing up it. 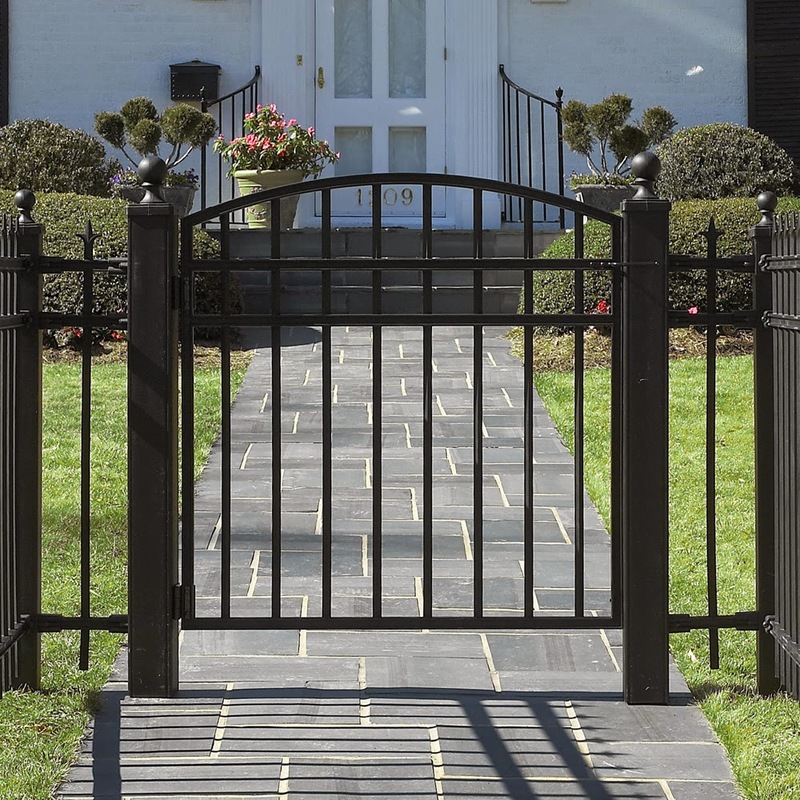 Not only does this look aesthetically pleasing for when you have friends over, but this effective gardening adds another layer of security to your property by making that fence difficult to climb. Check the locks too. If any locks have been incorrectly installed then these need to be fixed immediately by a trained locksmith Bournemouth. Should you have any concerns, a member of our friendly team can be at your property quickly to carry out an effective home security survey to assess any weaknesses which can be subsequently addressed. What other locksmith services do locksmith Bournemouth provide? Everyone understands the importance of keeping their property safe. After all, coming home to find someone has violated an extension of your person is one of the worst things anyone can live through in their life. It’s a horrible feeling to think someone could cause such pain to you with no recourse. That’s why the people of Bournemouth rely on an expert locksmith service to provide professional care and security to properties in the locality and prevent such atrocities from occurring. However, there are more things that can be done without the aid of a locksmith on call 24/7. Installing a safe is now no longer limited to business premises. It is expected that a safe should be found at a commercial property as it’s likely to contain important documents and/or large sums of money if it is a trading company taking in a daily revenue. This locksmith Bournemouth fully recommends safe installations for homes too. Your professional locksmith Bournemouth is able to supply, install and maintain a large variety of different safes provided by different manufacturers with different specifications to match up with your needs and your budget. If your safe needs servicing or emergency access, your locksmith Bournemouth has a team of fully trained staff available to take your call and remedy the problem 24/7, no matter when trouble strikes. A safe installation is recommended as way to store important documents and valuables when out of the property for an extended period of time. Affordability is at the heart of all our installations and we believe taking precautions is important in this time of increased home disturbances. 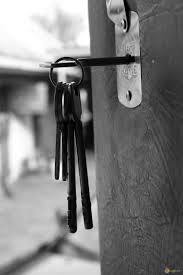 Your locksmith Bournemouth does not simply help with security installations. We understand that sometimes after a lock installation, the number of keys that come with the lock may not be sufficient. That’s why we offer an additional key cutting service by carrying the necessary equipment with us when completing installations. For a small price, we can duplicate your keys in minutes and have your property fully secured and prepared. How can I secure my home whilst on holiday? Extra security measures is needed before you go on that well deserved holiday. Even more applicable if you are not usually giving much thought to your home security. One of the main risks for a house out there. Is simply being unoccupied. 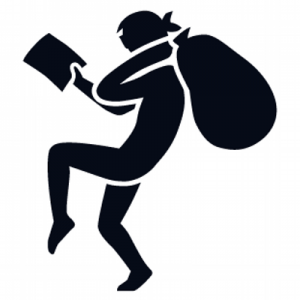 More burglaries and thefts happen during the holiday season. You might even know someone who has become a victim of the upsurge. How can you then secure your home whilst away, you ask. The professionals here give some tips on appropriate actions to take before leave home. If you follow these you’ll also be able to have a more relaxed holiday. Knowing that your home is left in as safe a state as can be. The first thing to do to secure your home whilst on holiday is to get a burglar alarm installed. It doesn’t have to be the fanciest or most expensive thing out there. Just something that will work an excellent deterrent. Something that will alert the neighbours if any activity is sensed at your property. 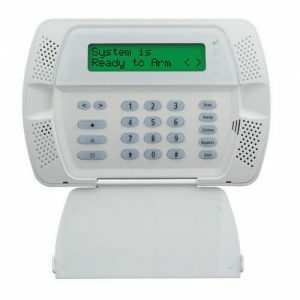 An armed home alarm system together with nice and active neighbours. Who will take action knowing you are away on holiday if the alarm is triggered is highly valuable. To keep your home secure whilst you are on holiday. Remember to halt any subscriptions that you have coming to your home. Or ask someone to collect the post and change the curtains from day to day. What you are aiming for is for your house to look as if it is occupied. There are other items which can aid you with this such as timer lights and fake TV lights. Lastly, to secure your home whilst on holiday. Make sure that you only tell your trusted friends and family that you are going away. Advertising the dates you are going to be away on social media for example. Is a bad idea. Although you may want to make your friends jealous of your wonderful holiday. It is also letting strangers know when you will be out of the house. Here at locksmith Bournemouth, we know it’s a real pain when you find yourself locked out or you lose you keys, that’s why our team are all over Bournemouth waiting for your call, so chances are we probably have someone close to you already. Locksmith Bournemouth get to you fast because we know it’s one of the worst feelings being locked out, and getting someone to let you back in can be even more of a pain, especially if the weather isn’t the best. Locksmith Bournemouth work tirelessly around the clock to ensure that you’ere never locked out for too long without someone to let you back in, no matter what lock or door you have, we’ll get you back in. Locksmith Bournemouth fully train all of our staff to our very high standards so you can be sure we’re sending you someone that’s full capable of a great job, not only that but we also fully vet and CRB check all of our staff before allowing them to join our team, because it’s not just important that they can do the job but it’s just as important that you the customer can trust them. Call us today and see if we can’t get to you in lightning speed. We won’t make you speak to automated messages or put you hold for half a day waiting to speak to the right person, all our staff are fully trained so there’s no such thing as the wrong person with us! Locksmith Bournemouth, here for you! For whatever reason, your locksmith Bournemouth, along with others, has noticed that there has been a rise in criminal activity over the past few years. What is therefore disheartening as that it appears that there are still some people who do not take their home security seriously. It may be the case that some people may feel they are priced out of security upgrades. However, your locksmith Bournemouth begs to differ and with competitive quotes for all works, we believe our long-standing customers would testify that improving your security doesn’t have to be expensive when affordable prices are on offer. With that in mind, your locksmith believes everyone should have a mortise lock on their front door if they have a wooden door. If you are unsure as to what this is, a wooden door is likely to have one of, or a combination of, the following two locks: a cylinder rim lock (often a Yale lock) or a mortise lock. The former is usually a nightlatch lock which locks the door behind you automatically without the use of a key. The latter is the more traditional keyhole shape which is instantly recognisable to most people. Mortise locks are usually either deadlocks or sash locks. The former comprise a simple keyhole and bolt. When the key is turned, the bolt locks across into the door frame. A sash lock is similar but contains a latch and handles too. That means that when you open the door, not only must the bolt be removed from the door frame, the handles must be turned to remove the latch as well. It is not as simple as one of them provides more security. It may well be that one is more suitable for your door than the other. Whatever the case may be, a local locksmith Bournemouth can help you determine the appropriate installation with a few questions over the phone. Euro cylinder – A euro cylinder is a common lock found on most UPVC doors, either keys to lock them from both sides or a key on the one side and a thumb tab on the other. 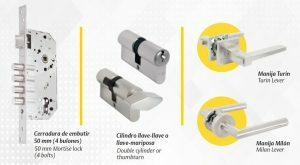 These are the cheapest locks and the easiest to break of the locks we carry in stock and the replacement of these locks is very quick. The keys to these locks are usually opened by a small flat key. 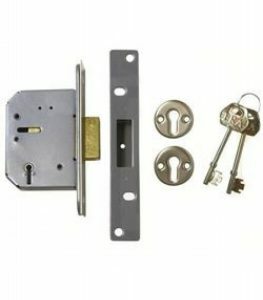 Mortise Locks – Mortise locks are are a bit harder to drill through but are found on wooden doors and older properties. These locks are the safest locks when it comes to fighting against break ins. The standard states that you can’t break into these locks with a key. They are usually opened by a longer L shaped sort of key.These take longest to drill through and are the most expensive type of lock that we stock. Night Latches – Night latches are locks that take a key on the one side and a thumb tab on the other side, and are widely used as second locks for front doors and are used on apartment and flat buildings as they enable anyone to leave a property in an emergency. Sometimes these locks can be broken into by a technique by carding but sometimes this cannot be achieved and the lock will have to be drilled. All of the locks used by us are up to the relevant British standards meaning if we come and replace your locks you won’t have to worry about whether your insurance still covers you, you can call us any time and ask us about the locks we use and what features they have, our trained office staff will be happy to take your call. When improving your home security, it’s important to have an expert locksmith Bournemouth available whenever you need them. Only a 24 hour locksmith Bournemouth will be able to properly provide this. What’s more, the service needs to be cost-effective. Thankfully, most security solutions can be made affordable and no matter what level of security required, there is always a reasonably priced, effective security solution available. This is of the utmost importance when moving home. This locksmith Bournemouth recommends getting into the habit of always having the locks changed when moving home. In fact, this advice doesn’t extend solely to homeowners but also landlords too. 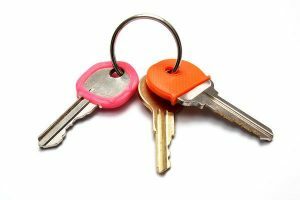 Landlords, just as homeowners, can never be too sure of how many keys are in existence to their property. As such, it is simply a matter of investing in the security of your property by regularly changing the locks if you are a new owner or your previous tenants have moved out. If you are a regular customer, your locksmith Bournemouth will always value your custom and will always be happy to provide a discounted service for large jobs upon the production of a receipt of previous work. Who knows, we may even work so closely that this isn’t necessary! We believe everyone should have access to affordable security and regular customers earn that right even more so. When moving property, you should always ensure that the access points to your home are adequately secure. For your front door, this is even more important. If you have a UPVC door, you should ensure that your new door is fitted with an anti-snap, anti-bump lock. Ask the previous owners for information and if none is provided, your expert locksmith Bournemouth can tell you from a visual inspection and fit a new, high quality lock as requested. Wooden doors should have both a mortise lock and Yale nightlatch lock as minimum in order to ensure adequate protection. 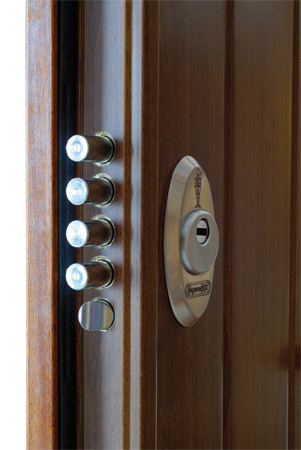 Your locksmith Bournemouth prides itself on using British Standard locks. This is important as this is often required as bare minimum by insurance providers. Your helpful locksmith Bournemouth is always happy to sift through your insurance policy to ensure your policy is validated by our work. Unfortunately, it is a harsh truth of life that we now have to take better care of our properties. 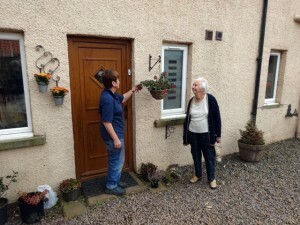 Gone are the days when people would leave the doors to their homes open and let their friends and neighbours come and go as they please. Thankfully, improving your home security doesn’t have to be expensive if you use your friendly, local locksmith Bournemouth. In fact, you can make small improvements to your home security without having to break the bank. If you feel 95% confident in the security of your property, but still feel like it could do with a small improvement, then thankfully your professional Bournemouth locksmith has the answer. A very simple addition to your door is an escutcheon plate. These surround the cylinder and bed it into the door itself. This is effectively a protective casing for the cylinder and prevents anyone from being able to easily remove the cylinder from the door and gain entry. Additionally, you should ensure that your door frame has an effective strike plate fitted. This covers the holes in which your locking mechanism secures into and effectively reinforces the door frame surrounding the lock. This means it’s even harder for any unwanted criminals to try and break in. 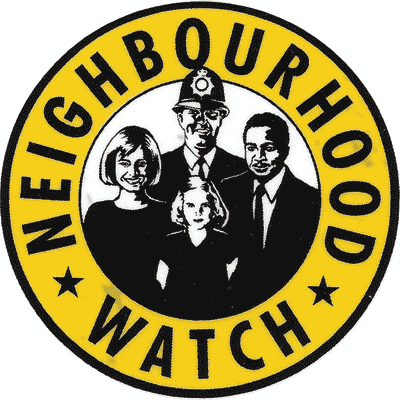 If your property needs an even simpler addition, you should consider investing in a ‘Neighbourhood Watch’ sticker. We always recommend putting one of these in your window, especially if you live in a neighbourhood with a higher rate of criminal activity. These are easy to spot from a distance and have been prover to deter criminal activity. It may come as a surprise, but sliding patio doors are particularly vulnerable to attacks. The nature of these doors makes it possible for criminals to simply get under the door frame and lift them out the sliding rails in which they sit. This shouldn’t be possible and is why we always carry anti-lift patio locks in our vans at all times. If not addressed with adequate protection, sliding patio doors can be a severe weakness for any property. The anti-lift patio lock is a keyless locking system that prevents the door from being lifted up and pulled out. In fact, the more upward pressure that is exerted on such a lock, the tighter the locking engagement becomes. Protecting your home doesn’t have to be expensive and all the aforementioned items can be installed quickly and successfully by a highly-trained locksmith Bournemouth. If there is a need for a new contact entry in your address book for a reliable service which have booth experience and expertise in the field of security, perhaps we can be forward enough to recommend the number above to be saved. Though the choice of a merited and well reputed locksmith Bournemouth you’ll be able to find all the service you can dream of within the domain of security, especially home security, which has been a keen specialty of the workers here for quite some time. With gusto and briskness we taken on all large security upgrade jobs with enthusiasm, always ensuring that the customer is in and along for every step of the way. Their journey to a better security solution at home is one which will help them keep safe also in their day to day life. But of course new security installations is not only what this locksmith Bournemouth is famous for, what is also worth a mention is their excellent and speedy attendance to any lockout situation, and the impressive part is this. 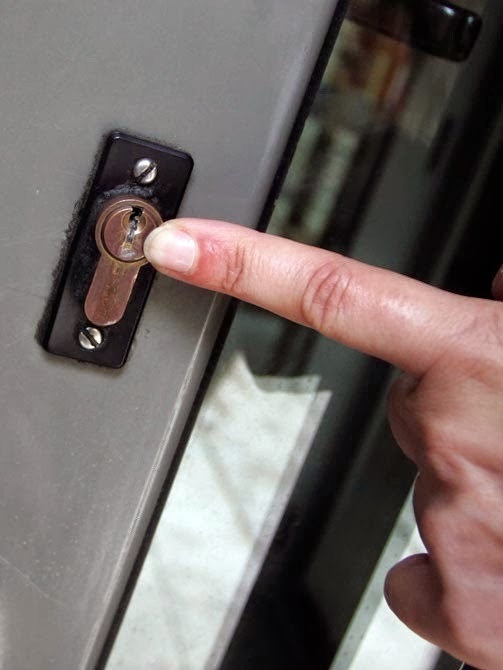 The lockout service is available all the time, at any time, any hour, day or night, telephone lines are kept open and locksmith Bournemouth are ready for your call. As an addition to the great range of service and products provided at low prices from the skilled staff, you have access and availability 24 hours a day. There are simply few services in the area which can compete with such deep seated dedication, why not try us for yourself and see what we mean. Note the number above, give us a chance, and never need for another high security installer again. Reports across the UK have highlighted that the country is currently on the receiving end of a crime rate crisis. This news has got across to the people of Bournemouth and it is not surprising to learn that your local Bournemouth locksmith has calls everyday from customers concerned about the reports. As our expert lock engineers regularly receive such calls, we thought the best approach would be to outline some ways anyone can take to protect their home. The place where we live with our family and keep our belongings deserves the best protection. However, we don’t believe that this should be expensive and all of the suggestions below are cost-effective to ensure you don’t end up spending more than is reasonably necessary on securing your home. UPVC doors appear to provide a sophisticated layer of protection against unwanted visitors from the outside. After all, the 5-point lever locking mechanism is an intricate piece of equipment used to lock the door. However, a door is only as secure as the parts used to secure it. Unfortunately, a number of UPVC doors come with poor quality euro cylinders upon installation which means they can easily be broken into, often in under fifteen seconds with the correct equipment. For a small price, our customers can swap such barrels for a 3 Star British Standard anti-snap lock. These are always reasonably priced and make it difficult for anyone to target your property as the subject-matter of criminal activity. The most secure doors tend to have both a Yale lock and a mortise lock. If your door doesn’t have the latter, then make sure you call an expert Bournemouth locksmith today to arrange an installation at a time convenient for you to ensure your property is kept protected. While two locks is better than one, it doesn’t mean it’s completely impenetrable. One excellent way of adding an additional layer of securing is to install an anti-thrust plate. These run down the side of the door in the gap between the door and the door frame to ensure that no one could put any tools and equipment down the side which would help them pry open then lock. For more information on the products discussed above, or any other questions you may have regarding cost-effective home security, call a locksmith Bournemouth today! Finding the right price and the right products is an important part of anyone’s first journey within the fields of security. Without having a wonderful force of locksmith Bournemouth knowledge at your hand there may be parts missed, seemingly small but with massive implications the security integrity. Things such as wrongly installed equipment can also render your security system useless, so it’s especially important for new security enthusiasts to ensure they have the right people close at hand. Have a quick and light, or an in depth conversation a locksmith Bournemouth worker today and you will soon find what you need to vindicate the previous statement. Great security is what comes first, and great prices come second, only closely followed by friendliness, customer service and availability. There are few points that a locksmith Bournemouth who cares vigorously for the security industry and for your security at home or at work would like to hit one. Firstly, security although it may seem expensive, is nothing of the sort. With the help of locksmith Bournemouth you will do doubt be able to locate a high security solution which suits both your budget and your personal preferences, one that will keep you safe at night and let you carry on with your business without having to make large changes or arrangement to your daily schedule. The features which come with the different security systems provided by locksmith Bournemouth differ in various ways, however the feature that they all share, is that they have been heavily tested and scrutinised to ensure that the products installed at your property is of premium quality. The question is growing both in frequency and importance and the world is something more and more commonly encountered both in media an in daily conversations. We’re speaking of home security of course. A topic which has been on the board for a long time, but strangely ineffectual for a large amount of people. As threats and reported intrusions or attempts at theft are becoming more frequent it’s important that we do what we can to protect ourselves and our property. If you are a parent, like many of the locksmith Bournemouth crew, we understand your security concerns well, just as we understand your confusion. 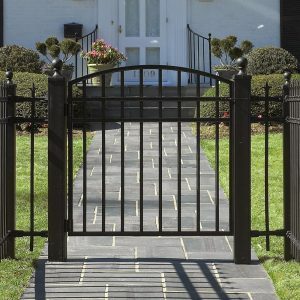 It’s no doubt difficult to distinguish between good and bad home security advice. The main reason that your locksmith Bournemouth implores you to speak to a professional. Although there may be a great many high home security solutions out there made by amateurs and DIY fanatics, it’s better to speak with those who spend their lives within the industry. If you are serious about wanting to protect those you love the most that is, and why wouldn’t you be. Call the number above to get in touch with locksmith Bournemouth now and discuss your options with regards to home security upgrades. All you need you can find here, and should there be any questions feel free to direct them to the workmen and women under the roof of this home security specialists. There is a reason to why locksmith Bournemouth customers stay with us for years and years, some call it quality, merit or efficiency and good service, we call it dedication to people. Call and have a chat with us about your security with those who know. Running a business is in most cases much more than a full time job, not only in time, but in commitment and personal investment. There are two major points which the guys here both stress and sympathise with. Firstly, with the workload you have on yourself there is little time, and often limited funds to spend on the security, and secondly that the need to ensure good protection against theft and other potentially life-ruining instances is heightened. 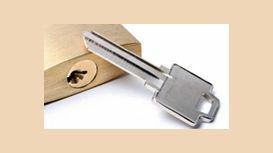 Your locksmith Bournemouth service understands the pressures you are under well and therefore offer our high security solutions to you at competitive rates. Together with the long term customer relationships we always aim for, you will find it difficult to locate a better and more suiting service for you. On top of that, in the area we also offer 24 hour emergency lockout service for any issue that may arise out of hours which simply cannot wait until the morning. Your questions are always welcome, as is your call, so feel free to get in touch now to find the answers, advice and guidance you need for a better and more secure future both for yourself and your business. The locksmith Bournemouth sees only good reasons to make sure that your business is well protected, and with the time, effort and investment you have spent on it, we are are sure you see our point when recommending a security check and a security installation, affordable and priceless, as it may save you from a world of trouble in the future. Deeper thought or closer inspection of your home security is no doubt a point which often becomes forgotten in the flurry that life is today. Time to relax is hard enough to find, and time to think about something which often comes as an afterthought is hard to give. But, locksmith Bournemouth are here to remind you of the vital importance of keeping your home security up to date and refreshed, and also to let you know just how both cheap and easy that is to do with an expert such as the one you find when you call the above number. Locksmith Bournemouth likes to invite you to call and book a security survey for your home, which simple means that, at a low price, and in a space of half and hour to and hour depending on the size of your home you will be able to ensure that none of the most vital home security points are missing and that your locks on both doors and windows are up to the standard they should be. Give some thought to your own safety, the security of the things that you love and the protection of what you love the most together with a locksmith Bournemouth expert. Happy to help at all hours you can feel free to call no matter what hour the clock strikes, and if there is anything else that you are wondering or needing, you can simply bring it up when you call. Emergency lockout situations are resolved quickly and seamlessly, and in the vast majority with preferred non destructive means of entry. 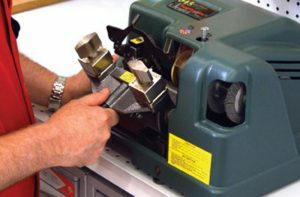 Cutting keys to fit, and to last, ensuring that there are no issues with regular use and no risk of damaging the lock is something that is placed among the highest priorities when it comes to the locksmith Bournemouth you can find here. 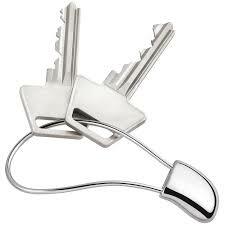 Feel free to give us a ring and ask anything with regards to keys or key cutting. Knowing the importance of quality keys, and knowing the how’s and what’s of the industry you can expect nothing less than the best standard of care and the highest quality products from a locksmith Bournemouth who knows. With vigorous training, and countless instances of experience you can be sure that your keys are to the standards needed to keep the integrity of your security at home and minimise wear and tear due to daily use by trusting in a locksmith Bournemouth who puts their customers first. Topping that, if you do ever find yourself in the situation of a snapped key preventing your from locking or gaining access to your home or business premises you can give us a call any time. A locksmith Bournemouth emergency service who is always available and always ready to swiftly come to your aid should you need it. So make sure that you save the name and number for us, and give us a call at any time of emergency. Day to day services also include lock installations, repairs, window locks, security systems and much more so please feel free to get in touch with any of your related questions and be sure to that they will find their answers and resolutions with a locksmith Bournemouth who is trusted and respected by their customers. No matter what hour of the day it is, or what your call is regarding, one thing you can always rely on. And that is that it doesn’t matter who you are or what you need, someone will be at the end of the line for you. Especially important for those times of emergency where your requirement is urgent and under time pressure. Your locksmith Bournemouth are understanding of your lockout situation, your lock in situation, your lock malfunction as well as your immediate need for resolution. There are few times more stressful than those of having lost access to your home, being locked out in the cold and rain knowing that only a couple of feet away, on the other side of the wall there is warmth, comfort and rest can be especially frustrating. If your call to the quick locksmith Bournemouth is for this reason, you can rest your tense mind knowing that help is on the way. All your lock, key and security questions are welcome here, and with pleasure the trained locksmith Bournemouth work to help you find the answers and services you need. There is no such thing as a stupid questions, only stupid answers, is a common saying which the laboring force feels closely with. We will of course spare you of any technical details should you not wish to hear them and will always use plain, jargon free language to ensure that information is clear and communication direct. Long customer relationships with happy customers is something that your locksmith Bournemouth are well known for, and if you come to us with your service need you will soon also see why. Now is the time to get in touch with your security specialist for the assistance you need, quotes you are looking for or advice you seek. We are here all hours and always welcoming of your call. To us your emergency lockout situation becomes a priority and we’ll be with you as fast as humanly possible should that be the reason for your call. Locksmith Bournemouth are also flexible and versatile in products and services provided. For home security help, lock checks and upgrades, alarm installations, monitoring and notification systems and more, ring us now and say the world. For larger security installations or including or involving central locking, security shutters, gates, bars, intercoms and more, call and inquire now. All the way from the removable iron bars over that high risk window, to the safe installation you need to keep the day’s takings secure overnight, or to keep your most valuable heirlooms and valuable documents at home. No matter what requirement you might carry with you, rest assured that the educated and skilled locksmith Bournemouth is here to help. Partial or full installation, modifications, additions and upgrades are just to mention a few of the flexible services provided at your convenience and at prices which suit you. There is no reason to go without the security you need any longer, everything is available here, and if you get in touch now, perhaps one of the many high security low price security alarm systems and features which are in stock and ready for installation, will be up and running before the end of the day. Fast, simple, all encompassing and here for you when you need it the most, there is no better locksmith Bournemouth provider than the one you find when you dial our digits. Security for both commercial and domestic properties has moved far beyond simple lock and key systems. Now many properties require either a hi-tech security installation to act as an extra layer of security, or as a first layer of deterrence to criminals. 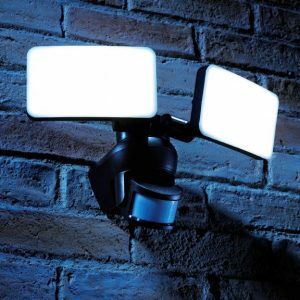 This is especially important for properties that are left unattended for long periods of time and even more so those which are further away from the dazzling lights of the town centre. Of course hi-tech security in this instance could be needed for a number of reasons. Maybe your place of business is located away from the main high street? Or perhaps you are out of the country a lot on business? Either way, you need to be sure you have a professional team you can discuss your security options with. There is an unfortunate misconception that locksmiths only focus their business on traditional security methods. No one questions the fact that your locksmith Bournemouth can help you regain entry if you find yourself locked out of your property, or assist you in repairing a mortise lock should you find the key no longer works. All our professional Bournemouth locksmiths have years of experience in installing, maintaining and repairing hi-tech security systems which means that when you’re considering a security upgrade, the only people you should consider calling are your local security professionals in Bournemouth. Years of investing in our staff, the tools they use and the products they install means we are capable of delivering the perfect security solution for any type of property within Bournemouth and the surrounding areas. 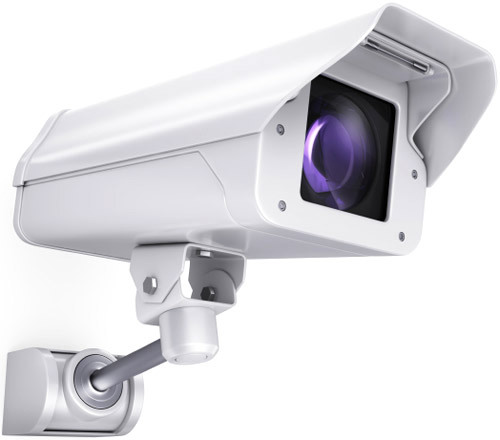 For example, if you would like a CCTV system installed at your place of business or your home, we are happy to recommend a range of suitable products and explain how proper setup, installation and aftercare can maintain the security of your property. We’re also happy to assist you in installing alarm systems on the interior of your property or even hi-tech security lights on the outside. All installations come with full training provided to designated personnel of your choice to ensure that should there be any issues, you will always have a fully qualified member of staff or person in your family who can remedy any problems. Of course, should they be unable to fix a more complex problem, our dedication to aftercare means we will always be happy to assist you in the years following an installation. All the systems we use are tried and tested and come highly recommended by our team of expert locksmiths. We always have a wide range of competitively priced products in stock meaning there’s always a solution capable of meeting your budget requirements. After all, no one should be priced out of protecting their property. We personally think that one of the most important things to consider when thinking about setting up/ maintaining a business is the customer service, unlike our personal lives it’s often what the general public think about your business rather than what you think about it that makes a difference. That’s why your local locksmith Bournemouth concentrates so hard on maintaining great customer service and it’s helped us to continue to do business over the last 20 years. We think it’s shocking the amount of supposedly reputable companies who will have a few pages worth of jargon and buzzwords about customer service on their websites then proceed to continually mistreat customers time and time again, the fact that some of these businesses are still open baffles us. to call and pick our brains about any services we advertise and maybe to ask about some that we haven’t. No questions are stupid and we take every call we get and with no long automated robots on our lines (sorry if you’re an automated robot) allowing our customers easily able to achieve an open dialogue with us this allows us to pander to specific needs of our customers where appropriate. For those of you searching for a good way to secure your home or your place of business, whist always having access to reliable day to day, maintenance and emergency locksmith Bournemouth, it’s a good idea to call us now. Timings are flexible and booking in to have your need fulfilled can be done easily on the phone and for a time that works well with your day plan. If it’s late in the small hours of the night and you have to your horror found that your door lock is no longer functioning the way it should, leaving you locked out, there is still no need to worry. Your dedicated locksmith Bournemouth are awake all hours of the day and will be on their way to your fast rescue the moment we know you are in need. 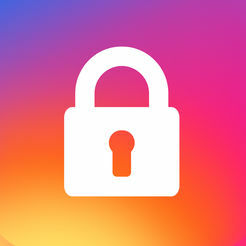 The quick lockout service is just an additional good reason to make sure that you choose our number to save as a service provider in your phone book. The workers knows the area well and with this knowledge, as well as the many years of experience had with assisting homeowners to a safer day to day and getting high security upgrades installed to perfection, you can trust us to take no less than great care of you and your security situation. Though calling, you’ll reach someone who can provide answers to the many security questions that must be bubbling in your mind, especially if this is the first time you are looking into improving. Speaking to the locksmith Bournemouth will educate and inform you on the technologies out there today, and with a professional at your side to give guidance and advice your security will be top notch in no time at all. Feel free to call now. BH8 0LU. Tel: 01202 900 202. Focus on key points of security and safety is a daily task for the staff, and with the most delicate attention to details we can help you find the right products and security features for your home, your business and yourself. By calling your experts today, you will begin on a journey towards home or business improvement, one which will take your security to the next level. Something that your locksmith Bournemouth knows will not only help you remove unwanted risks, but also allow you to relax more without the issue of security hanging over your shoulder. By employing a specialist locksmith Bournemouth to do the surveying of your area, to help you order the right products, help you with installation and to help you understand your own security better, you will not only keep your home safer, but also learn a whole lead. That is if you want to of course. An interested locksmith Bournemouth are always on your side here, and by calling now you can remove a long overdue item on your home and business progression. All your questions are welcome and you can call at any time. 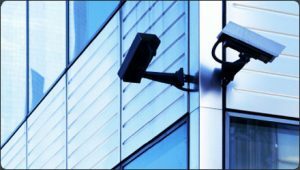 If you’re looking to improve your home or business’ security even more, why not consider a CCTV system? These are great deterrents against crime and, in the case that a crime occurs, are incredibly helpful in helping the police find the perpetrators and get your stolen property back to you. Locksmith Bournemouth highly recommend you get a CCTV system as they are truly some of the most valuable security updates you can make to any property. There are many types of CCTV system, so which is best for you? There’s wired and wireless, internal and external, digital – the possibilities are extensive. 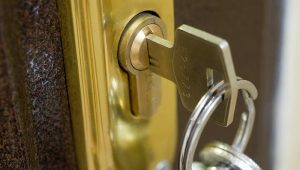 Locksmith Bournemouth have a quick guide to these, but as each case is individual we will assess your property in person to find the best for you. Wired security cameras have a lot of benefits – they face no interference from nearby devices, they are more stable for data transmission and they are good for large properties. However they are not portable and require drilling holes into the walls of your home. Wireless cameras on the other hand can be moved around with ease, but may face interference from your home WiFi devices and may run out of battery if you forget to replace them. In general, if possible we suggest wired cameras as they are more stable, but wireless cameras are also very effective. Most properties benefit from an outdoors CCTV system as you can see who is approaching, but some will also benefit from indoors CCTV. We generally suggest indoors systems for businesses only, but have installed indoors security for homes as well. If you have some very expensive or meaningful possessions you may want this extra level of security. For more information and bespoke CCTV advice for your property, call our experts now, and make your home more secure today! When it comes to a commercial property, the security considerations are different to those of a residential building. 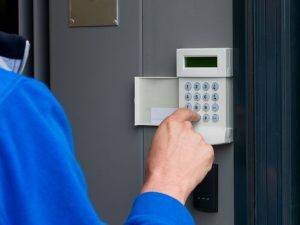 The likelihood is that you are going to have expensive equipment or merchandise on site, and you’ll definitely want round-the-clock security that works effectively. The good news is that all your needs can be provided for by ABA Locksmith Bournemouth today! Every property is different and has its own needs, so why not book in a Security Survey with one of our talented locksmith Bournemouth team? This service allows them to offer bespoke advice on-location at your business, with security solutions tailored to your requirements. Some likely advice they will give is as follows. All commercial properties would benefit from a full CCTV and alarm system, so in the event of a potential burglary thieves can be stopped before they take anything and can be found and charged for attempting to break in. A CCTV system also lets you locate people scoping out the business for a future robbery, and protects from thieves stealing from your shelves during open hours. These act as a great deterrent and are a locksmith Bournemouth absolute must-have. We also suggest having security grilles and shutters installed in properties with glass fronts, as these are easy to break into. A shutter means your storefront can look the same as always during the day, but will be safe and sound at night. Locksmith Bournemouth are able to provide great deals on safes and security boxes, where you can store any cash and valuable documents pertaining to your business. We can install locks onto any door and window in the property, and can even help you with a master key system so certain staff have more access to important rooms (for example, the office or cash room) than others. For all commercial security considerations, call our team today. 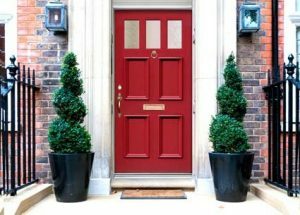 ABA Locksmith Bournemouth – Home Security starts in the garden! When thinking of how to keep your home secure, you should look at it through the eyes of a thief. The first thing a thief sees is the outside of your house and so making this look secure should be your top priority. And while homeowners often think about their alarm systems and such, one underutilised section of the home that can be used to improve home security is the garden. ABA Locksmith Bournemouth have some great tips on how to use your garden to the best of its abilities. Installing motion lights will help keep trouble away as a burglar wants to remain unseen and hidden. If they accidentally flip a light they will often flee the property, as the risks outweigh the rewards. Another similar idea is to have gravel paths and driveways, as this means that anyone approaching will have to make noise to get to your home itself, which can again alert you to the situation and may spook the robber. Locksmith Bournemouth favourite recommendation is, however, to use your plants to your advantage! You can keep your garden both beautiful and functional by choosing the right plants at the right times of the year. 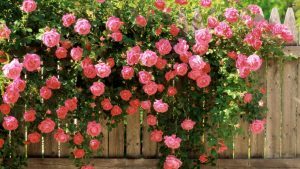 One example of this is rose bushes – these are common and decidedly English flowers that come in a variety of colours to suit your landscape, but their sharp thorns act as a great deterrent against anyone who would try to sneak through your garden. A great place to put these is under any windows, as they will make that a much harder place for anyone to break in and enter your property, and you will be even more protected. So to keep your home safe, remember that ABA Locksmith Bournemouth suggests starting with your garden! This is a rave review, and we’d like to give our thanks to Carol and all our valued customers and friends. We at ABA Locksmith Bournemouth pride ourselves on our work, and always aim to offer the most competitive prices so that everyone can feel that they have easy access to great security. Locksmithing is more than just your basic locks, and we’ve helped hundreds of businesses install CCTV cameras, homes install alarm systems, new letterbox locks and more. Our staff are thoroughly trained and work with our senior Bournemouth locksmith before they go out on their own, meaning that every job we complete is done to our high standards. To put it simply, we love what we do, and we couldn’t do it without all of you. If you’re looking for a team who can get to you fast, at any time of night or day and always have a smile on their faces, then you’ve come to the right place. Call one of our lovely phone advisors now to find out more about the sorts of jobs we can do for you today, and we hope to see you soon. It’s an honour to give back to our local community, and we couldn’t ask for anything better.